Cabin Fever? 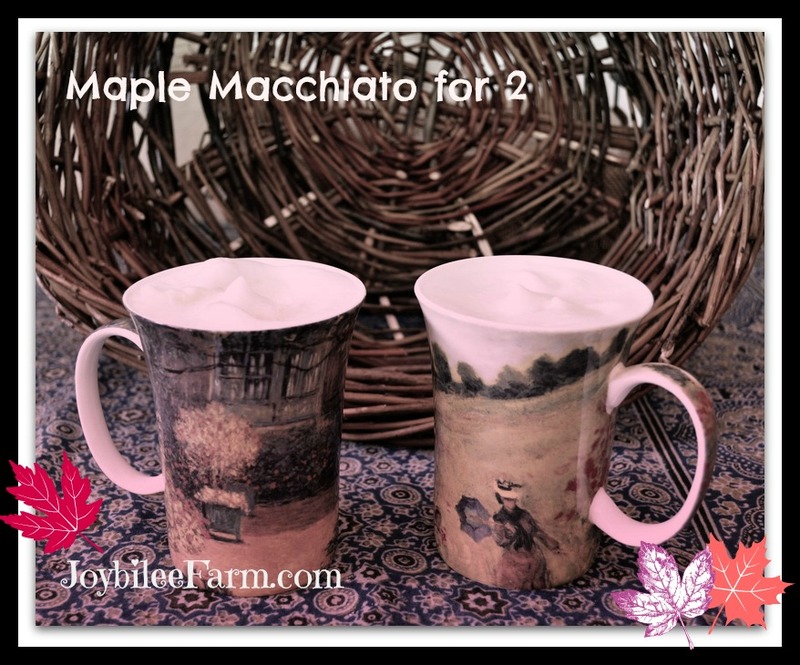 Make this amazing Maple Macchiato at home – for 2. Have the icy roads, snow, wind, and just plain bad weather got you house bound? Feeling the pain of cabin fever? Time for a timeout? Make this amazing Maple Macchiato at home. It’s better tasting and better for you than running out to St**b*cks. Then grab a friend or a book (sometimes that’s the same thing), and sip some JOY in a mug. It will lift your mood with each luxurious taste and you’ll be ready for more of the day. First a primer on the nuances of cappuccino, latte, and Macchiato. While these are the names of my llamas, that wasn’t quite what I was referring to. All three are made with milk – I prefer raw goat’s milk – whole, and unhomogenized. You may use the kind of milk you prefer in this recipe. All three are made with a shot or two of espresso. A latte is made with steamed or heated milk. And both a cappuccino and a Macchiato are made with heated and foamed milk. To make a latte, put the shot of espresso in the bottom of the mug. Pour the steamed, heated, slightly frothy milk on top. Done. You can add cinnamon, real maple syrup, flavoured syrup, cocoa, or just enjoy it plain. 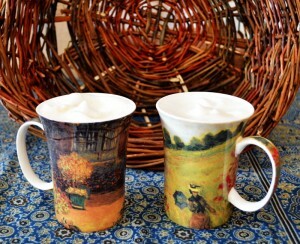 If you are making a cappuccino you put the coffee in the mug and then add the heated, very foamed milk on top. If you are making a macchiato you put the steamed-very-foamed milk in the mug first, and then pour in the espresso shot. When made this way, you can make pictures in the foamed milk with the way that you drizzle in the espresso. Now you know the difference. So when you make yourself a Maple Macchiato you need espresso, heated and foamed milk (of your choice), and maple syrup. It’s a simple recipe and simply fabulous taste. You’ll feel rich as you enjoy every sip. To make the espresso, you can use your fancy-pants-espresso-machine (my son has one) with the steam valve, and the smoke and mirror shine. Or you can use a moka pot on the stove top. That’s the way I love to make it. The finished product is slightly different and I prefer my way – it’s a little less bitter, and a little more mellow to my taste. A moka pot will make 4 shots of espresso, enough for 4 servings of this recipe. Make the full 4 servings. First of all, really good espresso is made with freshly ground coffee. When using a moka pot instead of an espresso machine, the coffee should be a coarser grind. Espresso machines use coffee that is ground to a fine powder, but that will go through the holes of the moka pot filter and make a more bitter coffee. So grind it coarsely. If the power is out, use a hand grinder, with grinding stones like this one. Fill your moka pot with filtered water, just up to the steam valve. Put the coffee filter basket in the pot, over the water. Fill with freshly ground coffee. Don’t pack the coffee down. You want to allow space for the water to trickle through the grounds. Screw the top onto the bottom of your moka pot. Place on your stove top. Turn on the stove, just hotter than a medium heat. You’ll want to use a high enough heat that the water boils and steams, but not so much that it just steams and escapes. You need to build up pressure in the bottom of the pot so that it forces the water up through the coffee filter. The espresso will boil up the centre spout and spray into your top reservoir. 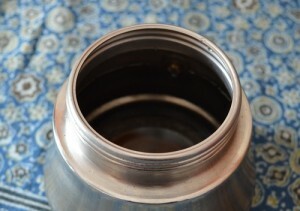 If done properly there is a tiny amount of water still left in the bottom reservoir, and the top is filled with black espresso with a caramel sheen. This is the delicate part. On my electric stove this is achieved by putting it on the burner with the burner set at 5 oclock – and takes about 10 minutes. It’s a bit trickier on a wood stove or on a gas burner. You’ll be able to do it perfectly every time with a little practice. You’ll want to heat your milk on the stovetop at the same time as you are making your espresso, but you’ll only want the milk to steam. You don’t want it to burn or boil over. I heat my milk on a lower temperature than the coffee. When heating it on the top of my wood cook stove I move it over the oven and open the oven door to get the optimal heat. Yes, it’s an art more than a science. Once your milk is heated, pour half the milk out of the stainless steel jug that you heated the milk in, and into a mug to hold it. Using a battery operated milk frother, beat the milk left in the stainless steel jug, until it is doubled in volume. Pour this frothed milk in a mug. Froth the second portion of milk in the stainless steel jug. Pour this into a second mug. Pour ¼ to ½ of the coffee from the moka pot into each mug, over top of the frothed milk. Take 1 to 3 tsp. of maple syrup and drizzle the syrup over the top of the foamed milk. The syrup will make your Maple macchiato sweet, so only use enough maple syrup to your taste. oh that would be so good! Maple everything til its gone! Have a wonderful week, wherever you are!!! Looks quite lovely this rather chilly morning. I learned that maple syrup not only has a bit of potassium and calcium, but also contains nutritionally significant amounts of zinc and manganese! It also has antioxidants, so pour some on! I love maple syrup — I use it sparingly. Happy valentine to you and enjoy your webpage very much. Hope you have fun. I just like to know as where are you located? just matter interest etc. Have great weekend and spring is in the air birds are flying here in kitchener-waterloo area. 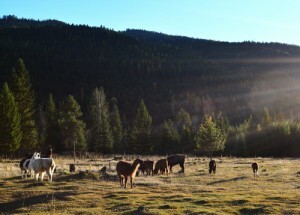 Joybilee Farm is in South-Central British Columbia, Canada. Our farm is in the Mountains (zone 3) and we can get frost year round. I always use maple syrup in my coffee. So good! Excited about this giveaway! I haven’t had REAL maple syrup since I was a kid growing up in MN~!! Thank you for this opportunity!! I also enjoy making tea-based beverages with Maple Syrup. It is my sweetener of choice! Thanks for helping me out with the giveaway! And I’m so glad you shared this post, because I didn’t even know there was such a think as a moka pot. Is it like what a perculator is for coffee? 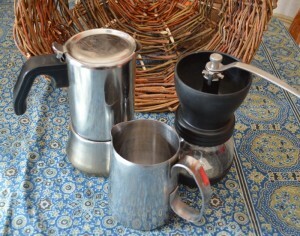 We use a percolator to make our coffee but the moka pot is a bit different. With the percolator the boiling water is forced up the spout and sprays over the grains, while the infused water goes back in the pot. The action is repeated several times so that the last infusions of coffee just get stronger, as hot coffee is then infused with more coffee. 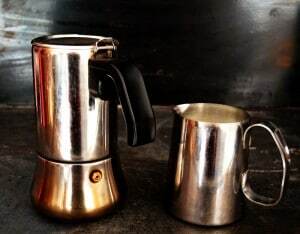 With the moka pot, less water is used and it is forced through the coffee grains from underneath, then being pushed up the spout to be caught in the upper reservoir. Each molecule of water only touches the grains once — for a richer and less bitter drink. With less water you also get espresso instead of just plain coffee. 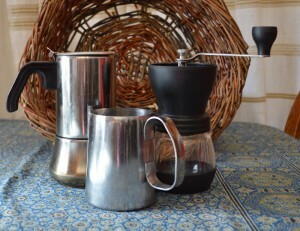 We drink percolated coffee in the morning and save the moka pot espresso for special occasions. Krystyna you really need a moka pot. You just do.